Bachelor’s degree in Psychology and a Bachelor’s degree in Women Studies from Kansas State University. 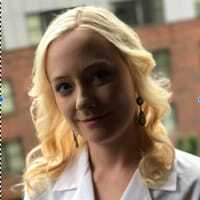 Christine McClure is a student in the Doctorate of Naturopathic Medicine program and the Master of Science in Integrative Medicine program at the National University of Natural Medicine (NUNM). Prior to graduate coursework, she received a Bachelor’s degree in Psychology and a Bachelor’s degree in Women Studies from Kansas State University. When she isn’t writing, you can find Christine hiking, cooking, or playing with her dog, Roscoe. Christine is passionate about patient empowerment through education and helping others achieve optimal health.